Krista Robertson, junior, is majoring in Psychology while also being in the Army Reserve. 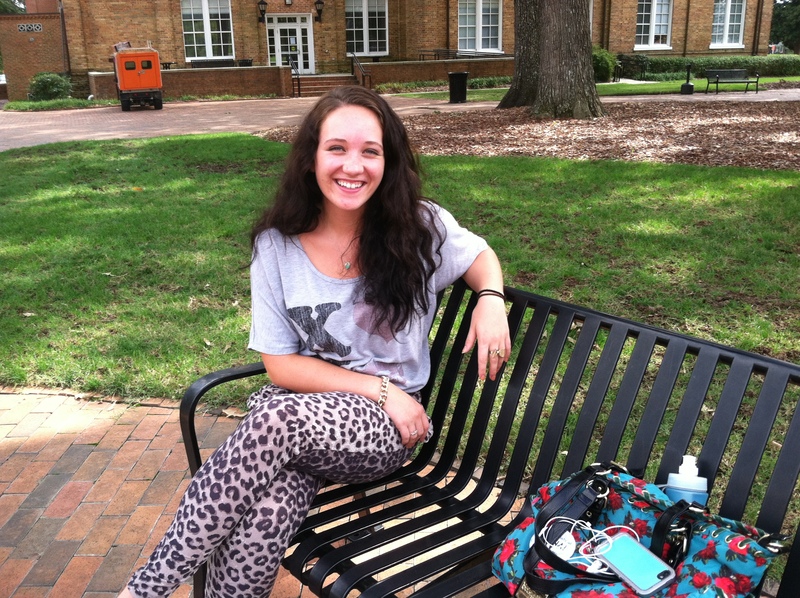 She tells us about her journey to Campbell and what she plans on doing after graduation. Q: What is an interesting fact about yourself? A: I am currently in the Army Reserve. Q: How is that different from being in the Army? A: I had to go to basic training just like everyone else, but I am not stationed anywhere. I have to go to drill one weekend out of every month and may be deployed if needed. A: It can be, but I like it. I feel it adds balance to my life. Q: Why did you decide to join the Army Reserve? A: I always wanted to join a branch of the military. I decided to go into the Army Reserve when I was 20 after I got my associate’s degree in Idaho. Q: What made you move here from Idaho? A: I met my boyfriend in training and he was stationed in Fort Bragg before being deployed to Afghanistan, so I decided to move here and apply to Campbell. I drove seven days to get here! Q: Do you like it at Campbell? A: Yes, the South is so different; the entire east coast is different from being out west and up north. Q: What makes the South so different? A: People behave differently here. Southern people are definitely the biggest change. And the humidity. I am not used to the humidity. Q: Why are you majoring in Psychology? A: I want to go to a midwifery graduate program but didn’t want to major in Biology. Q: Why do you want to go into midwifery? A: I want to help people, especially women. Someday I want to help women in third world countries with prenatal care. Q: How long are you in the Army Reserve after graduation? A: I have three years after I graduate if I don’t get deployed. I am glad I joined, regardless.